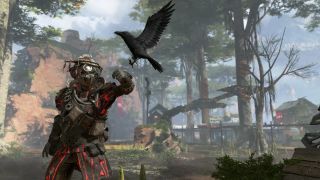 Respawn has responded to criticisms levelled by some players concerning the freshly unleashed Wild Frontier Battle Pass for Apex Legends, with these folks distinctly unhappy with what’s on offer in terms of the content you can unlock (and more besides). Complaints include the fact that there are a lot of pretty trivial additional bits of content when levelling up the battle pass, such as basic stat trackers, and that even the new skins aren’t all that interesting – with others frustrated that there’s no quest system introduced. Lead Product Manager of Apex Legends, Lee Horn, addressed these concerns in a post on the philosophy behind the Season 1 Battle Pass. And essentially, the central idea is that players should be left to “learn and experiment” with the game, and not be distracted by having to deal with some sort of “complex quest system where you need to do a 720 backflip off of Watchtower Artemis and get two Wingman headshots before hitting the ground”. Horn does, however, acknowledge that there are ‘cool’ possibilities for quests and challenges in future battle passes, but “we wanted the initial version to allow our players to just play and learn the game”. That sounds like a fair enough initial stall to set out to us, and indeed not everyone enjoys the challenge/quest side of battle royale anyway, feeling that these sort of elements are rather chore-like anyway (but that’s a whole other argument). Speaking of whole other arguments, a separate thread of criticism has also sprung up concerning the amount of experience required to level up the battle pass. It is worth underling that the bonuses are key, with additional XP accrued for playing with friends, but particularly noteworthy is the bonus experience for playing different Legends (based on time survived with those characters). The essential idea is to encourage folks to play a number of different characters. As Horn wrote in his blog post: “We’ve added a Battle Pass progression bonus tied to playing a variety of characters, because we believe true mastery in Apex Legends means being a badass with anyone in any situation at any time. Again, that makes sense, although again some ire has been provoked by tying said bonuses into survival time, given that this seems to be encouraging a more conservative play-style tilted towards hiding and surviving, as opposed to risk-taking or hot-dropping into highly contested loot-rich areas. Clearly, everyone needs to give this new introduction to the game a little time to settle in some respects, but it seems that Respawn’s first battle pass is off to a controversial start on several levels.